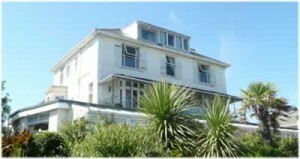 We have secured planning consent for 15 luxury apartments at a hotel on the Isle of Wight. Our client was faced with difficulty selling his hotel as a going concern, so approached us for help with trying to make his property a more attractive investment. Plainview Planning managed the whole planning application process – pre-application meetings, instructing architects, preparing consultation and planning documents, and liaising with the Council. There was initial resistance from the Council, but we put forward a robust review of the local tourism market to demonstrate that the continued use of the building as a hotel was not viable. Permission was granted within 12 weeks of Plainview being instructed.